This old farm, dating back to 1690, is a compelling place to visit. Not just for its wines, but for the sense of history it evokes in its museum; telling the story of human interaction on the estate from long before the colonists arrived, through the dark periods of slavery and apartheid, and onto a hopefully more positive post-Mandela South Africa. There are even plans for a genealogical research facility which will focus on families of slave descent, in recognition of the country’s social history. 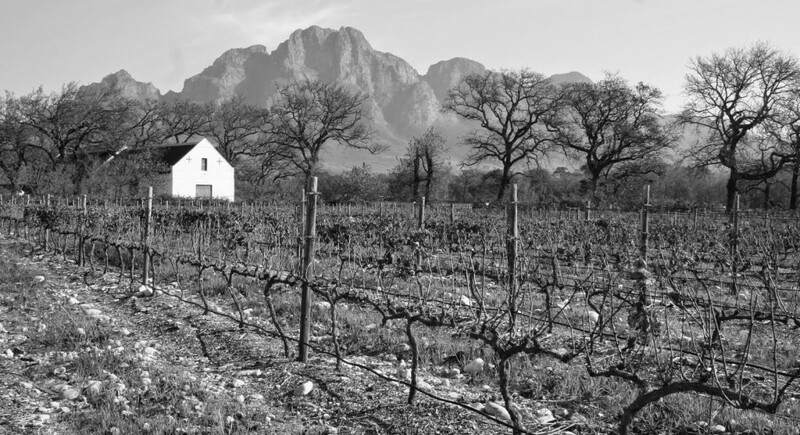 There are 23 hectares planted at the Paarl-end of the Franschhoek Valley, with the first wines produced on the farm from the 2004 vintage. Owner (and renowned neuroscientist), Professor Mark Solms, became fascinated with the ancient concept of desiccation through the drying of grapes on the vine, a technique that is evident in at least two of the wines within the Solms Delta range. 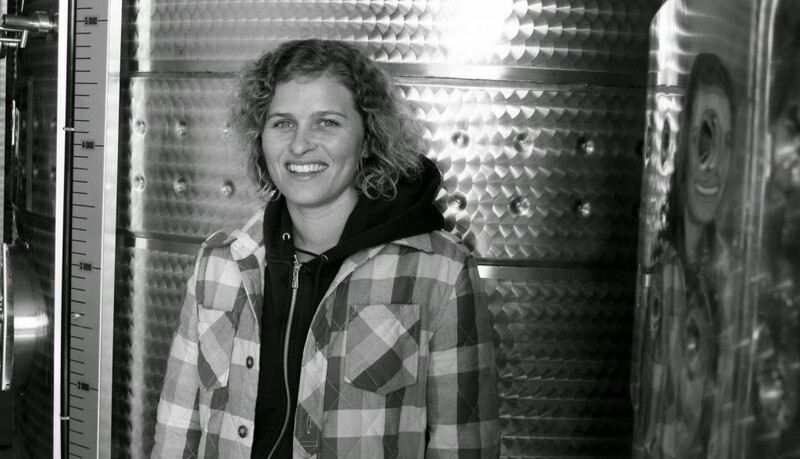 Recent changes in management, the introduction of Rosa Kruger as consultant viticulturist, plus the arrival of two young and talented winemakers in Hagen Viljoen and Joan Heatlie have given the farm a greater focus. The cellar is full of exciting new wines which are set to emerge over the next couple of years. The names are all Afrikaans and, just like the wines and the labels, express the unique identity that one associates with the history and culture of the Cape. For an English speaking audience, the names, just like the wines themselves, need a degree of explanation for fear of being dismissed through lack of understanding. Vastrap is ‘trample’ music which unites Khoesan trance-dance with Dutch folk music. Performed on literally anything, from concertinas, banjos to home-made violins, the traditional excuse for a vastrap was the trampling of a new-laid cow-dung floor. Understandably, most preferred to perform the dance in the open-air. Vastrap – The wine started out life as a white blend, based on Chenin Blanc with Semillon and a little Riesling. From the 2014 vintage, the wine switches to 100% Chenin Blanc. The label honours family links, through Princess Amalie von Solms-Braunfels, who was immortalised by Rembrandt in 1632. She played a significant role in Dutch political life following her marriage to the Prince of Orange. Her grandson, William II of England, provided refuge for thousands of Huguenots after the revoking of the Edict of Nantes in 1685. Some 180 of these refugees were to settle in the vicinity of Delta, laying the foundations of the Cape’s long wine history. Amalie – The wine is a part-tank, part-barrel fermented white blend, consisting of Grenache Blanc, Chenin, Roussanne and Viognier. Koloni is the isiXhosa name for the Cape. The region was first colonised 2,000 years ago when northern Khoe herders settled the traditional hunting grounds of the indigenous San, only to be colonised again by Dutch traders in the 17th Century. Koloni – The wine is blend of Muscat de Frontignan and Muscat d’Alexandrie which is partly (around 15% desiccated) on the vine. The name of the adjoining farm. The first owner, Henri L’Ecrévent, was granted the land in 1690. Unable to pronounce his name, the locals took to calling him Arie Leekerwijn (nice wine) to solve the problem. Lekkerwijn – The wine is a dry rosé, produced from Grenache, Syrah and a little Cinsault which is partly raised in barrel. It’s taut, mineral, serious and durable, in the true Mediterranean style. Langarm, or ‘straight-arm’ dancing captures the mood of the Cape at the end of the working week and often performed to ‘Boeremusiek’ (farmers’ music). It is danced with arms outstretched, like demented surfers. Dismissed as strange and comical by all outsiders. Langarm – The wine is a Cape Blend of Pinotage, Touriga Naçional, Grenache, Mourvèdre and Shiraz. Authentic and slightly rustic red, which perfectly suits the function and purpose of its name. Meaning ‘from this place’ and a word that holds special significance in the colonial history of the Cape. It was used by early settlers wanting to define their new identity: ‘Ons is Afrikaners’ – ‘We are African’. Hiervandaan – The wine is a classic Rhône blend, which incorporates Shraz, Grenache, Carignan, Mourvèdre and the skins of Viognier. Africana is the cultural produce of Africa, of which the Delta farm has long been a rich source. Africana – The wine is 100% Syrah grapes from the farm combined with a source in Wellington. Like the Koloni, the grapes are partly desiccated on the vine to produce a wine that shares some of the same characteristics as Amarone from Valpolicella. Powerful, complex and serious. Gemoedsrus – The wine is a fortified Syrah, made using the same desiccated grape source as the Africana and fortified using ‘grappa’ distilled from the same cultivar. With 18.5% alcohol, it is a contemplative wine for enjoyment at the end of a meal.